An English journalist, political philosopher and novelist, writing prolifically in history and demography throughout his lifetime. 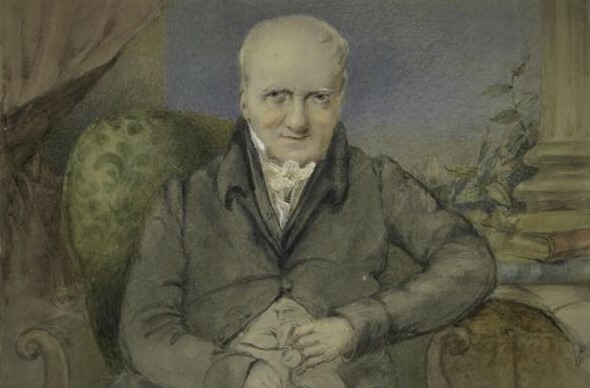 William's father John Godwin attended the Dissenters’ academy at Northampton, noted for its freedom of enquiry, where he was tutored by Philip Doddridge. Doddridge had a long-standing connection with the congregation in Wisbech and undoubtably arranged his pupil’s appointment as a minister there in 1746. 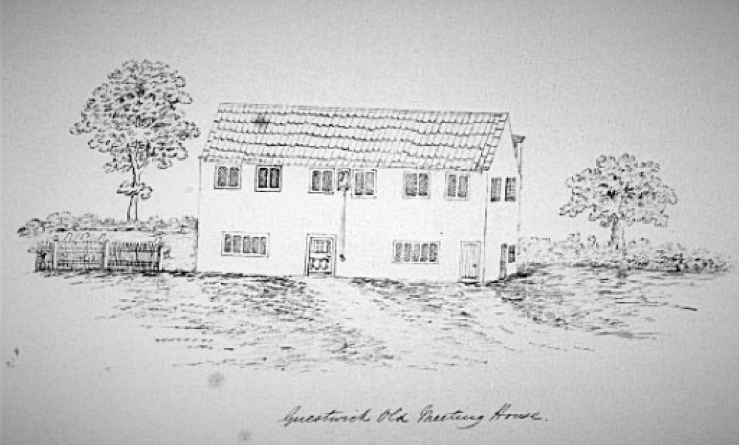 The family moved many times, and settled in a remote village north of Norwich called Guestwick, where Godwin’s father was to remain for the last twelve years of his life. His father never inspired love or much regret in his son; but in spite of wide differences of opinion, tender affection always subsisted between William and his mother, until her death at an advanced age. In 1773, William went to the Dissenting college at Hoxton where he studied until 1778. And in 1779 Godwin started a five-year ministry of religion at Ware, Stowmarket and Beaconsfield where his sympathies turned increasingly republican. Whilst he was Minister at Beaconsfield, he also published his 'Life of Chatham' at the same time. In 1783 he settled in London to become a writer and wrote reviews for English Review and wrote letters for the Political Herald. In 1786, he met the playwright Thomas Holcroft, who became a close friend. Godwin turned into a convinced atheist and during the time of the French Revolution in 1789 he already held very radical views. Godwin first met Mary Wollstonecraft at the home of their mutual publisher. In 1796 he and Mary Wollstonecraft were reintroduced and soon afterwards their friendship grew into love. Godwin received criticism after his marraige to Wollstonecraft because he had advocated the abolition of marriage in Political Justice. 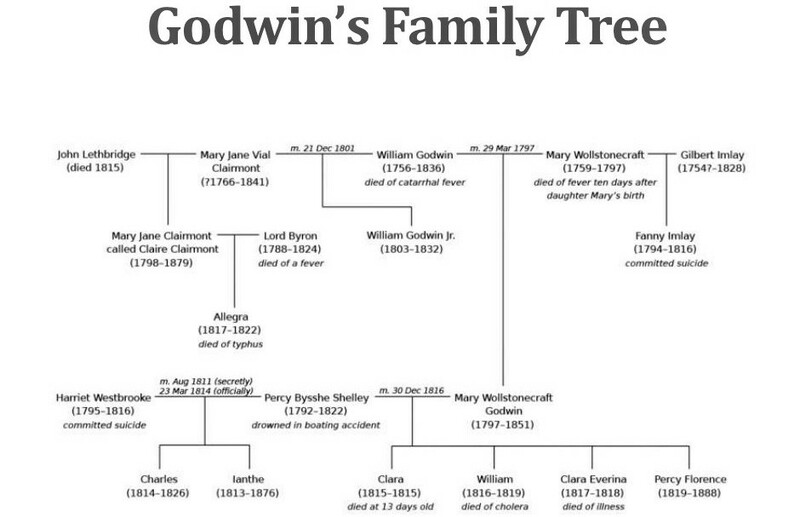 Mary Wollstonecraft Godwin (to be Mary Shelley) was born in Somers Town on 31 August 1797, the couple's only child. On 10 September 1797 Wollstonecraft died of complications following the birth. By all accounts, it had been a happy and stable, though brief, relationship. Now Godwin, who had been a bachelor until a few months before, was distraught at the loss of the love of his life. He became responsible for the care of the two young girls - newborn Mary and toddler Fanny, from Wollstonecraft's first relationship. When Mary was three, Godwin left his daughters in the care of James Marshall while he travelled to Ireland. Godwin's tone in his letters demonstrates how much he cared about them. In 1801 Godwin married his neighbour Mary Jane Clairmont. In 1814, Mary began a romance with one of her father's political followers, Percy Bysshe Shelley, who was already married. Together with Mary's stepsister Claire, Mary and Shelley left for France and travelled through Europe. They married in late 1816, after the suicide of Percy Shelley's first wife, Harriet. In 1816, the couple famously spent a summer with Lord Byron, John William Polidori, and Claire Clairmont near Geneva, Switzerland, where Mary conceived the idea for her novel Frankenstein. 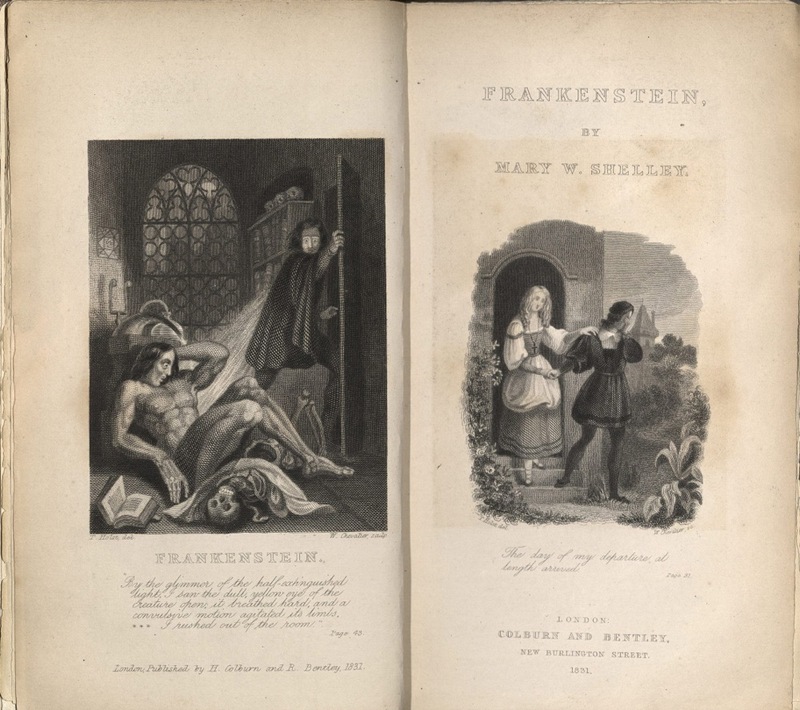 In 1817, Godwin read Mary's Frankenstein and he was impressed (which he hardly ever was after reading a book). The Wisbech Society assisted in the erection of a blue plaque on Alexandra Road, in honour of William Godwin.